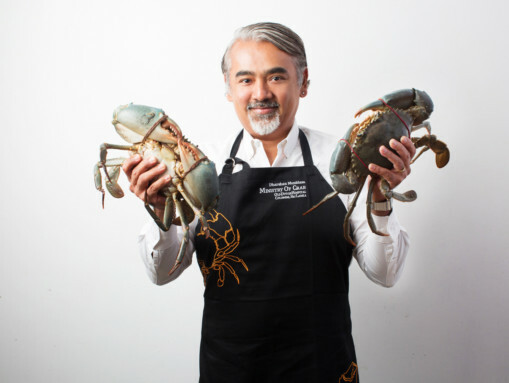 Sri Lankan chef and TV personality Dharshan Munidasa will bring his acclaimed Ministry of Crab restaurant for a three-day pop-up at Shangri-La Hotel, Qaryat Al Beri, Abu Dhabi from April 25 to 27. Often referred to as one of the top restaurants in Asia, Ministry of Crab is Sri Lanka’s first restaurant dedicated to serving lagoon crabs, employing a no-freezer policy, and sourcing all its produce locally with daily deliveries. Munidasa is known is known for his focus on high-quality, fresh ingredients that he often pairs with Japanese cooking philosophies. Having gained a reputation for his knack for pushing boundaries, the renowned chef-restaurateur is credited for putting Sri Lanka on the global culinary map. “I am very excited to introduce the delicacies we serve at Ministry of Crab to the UAE. We receive many travellers from the UAE at the restaurant in Colombo and we are delighted to plate up our unique preparations to them in their home country,” he said. Reservations can be made directly with the restaurant.